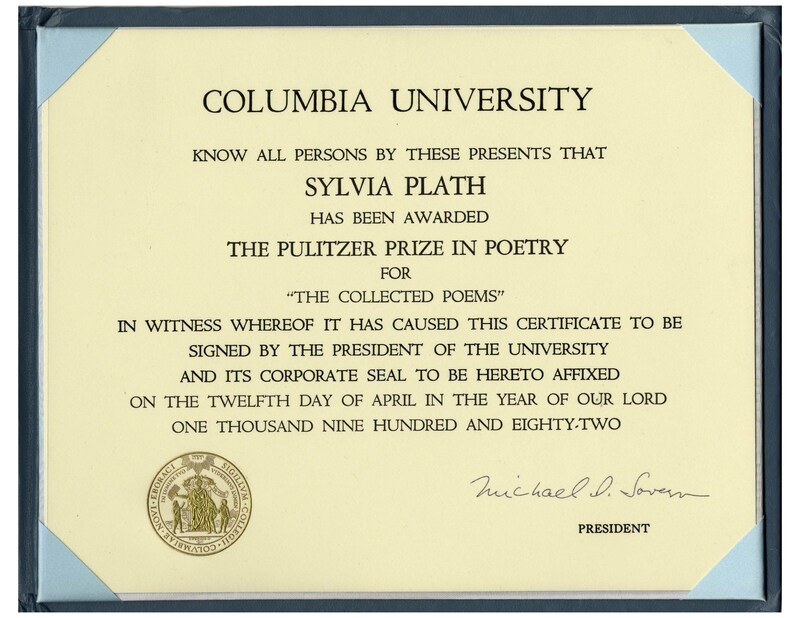 Pulitzer Prize certificate comes as presented to Ted Hughes who edited the collection, and then passed down to his and Sylvia's daughter Frieda Hughes. 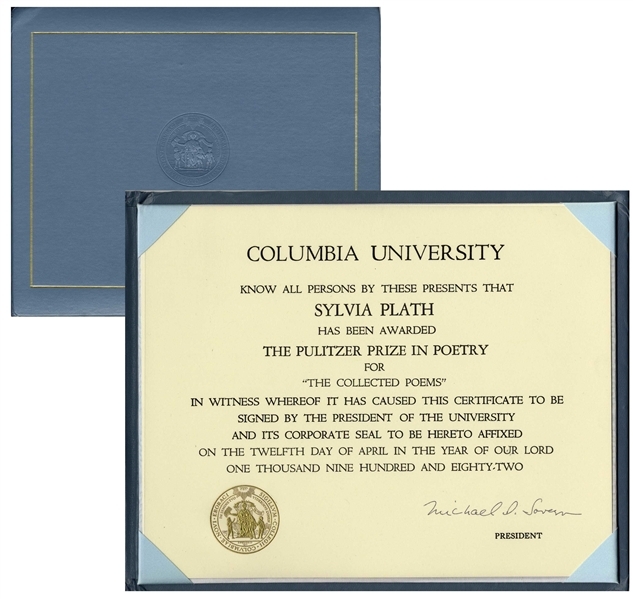 Certificate is signed by the Pulitzer President Michael Sovern, housed in the blue morocco leather folder, with silk moire endpapers and blind-stamped Pulitzer seal to cover, and gilt embellishments. Certificate is stamped with gold Pulitzer seal, and dated 12 April 1982, reading in part, ''...Sylvia Plath / has been awarded / The Pulitzer Prize in Poetry / for / 'The Collected Poems'...'' Certificate measures 10'' x 8'' and folder measures 10.5'' x 8.5''. 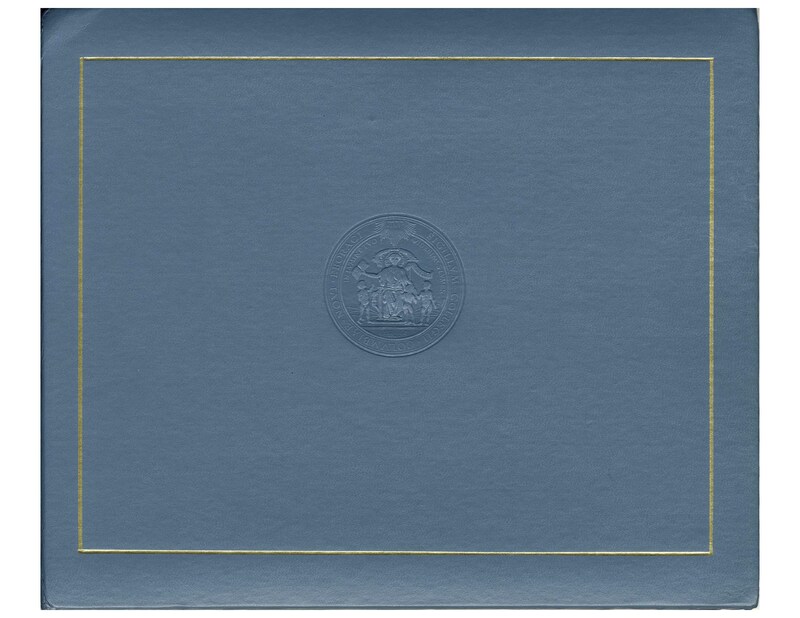 Light shelf wear to folder, otherwise near fine condition. 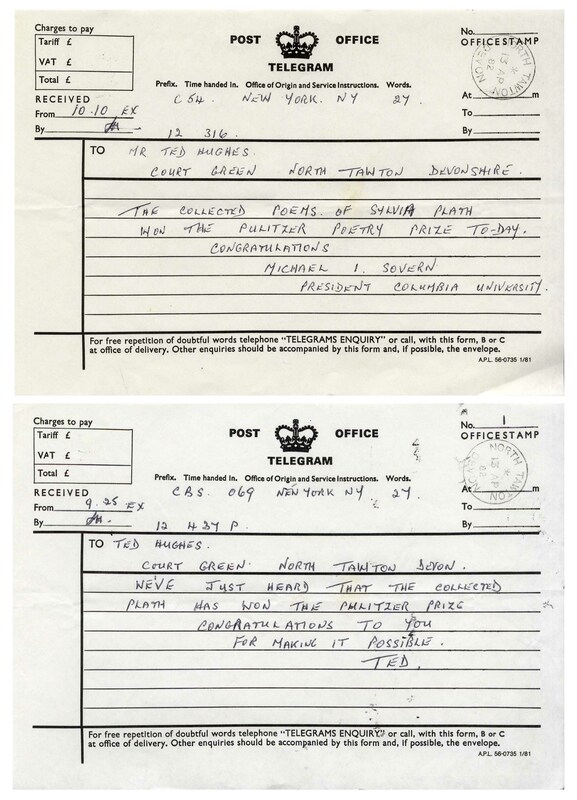 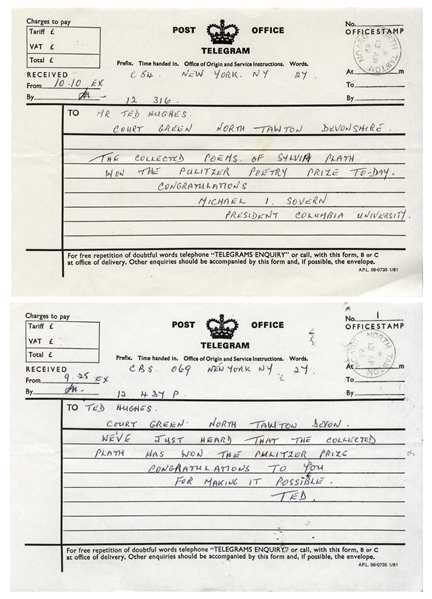 Pulitzer Prize is accompanied by two telegrams from Sovern to Ted Hughes, both dated 13 April 1982, with one reading ''The Collected Poems of Sylvia Plath won the Pulitzer Poetry Prize to-day''. 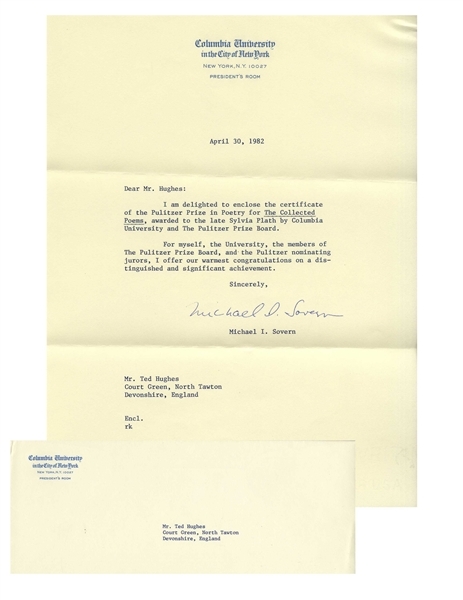 Also included is a typed letter signed by Sovern on Columbia University letterhead, dated 30 April 1982, to Ted Hughes that accompanied presentation of the Prize.